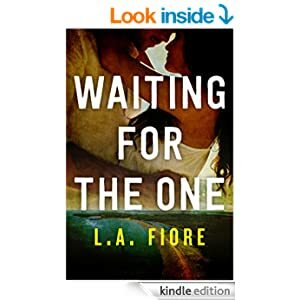 I love L.A.Fiore’s writing. Some authors write books in a genre that are so similar it feels like reading the same story, but with new characters – you know the sort, where men are alpha males and either bikers, monosyllabic and demanding, tattooed, bad boy MMA types, or rich, suave businessmen. They’re almost cut and paste characters. Nothing wrong if that’s what you want to read, but for me writers like this who come up with totally original characters and themes are who do it for me. Saffron, she’s lovely. So full of positivity, even though she’s had the parents from hell – emotionally distant and cruel. She’s made her own life, found her own family in her friends from school and elderly neighbour Frank. He’s now in a home, and yet she still visits him several times a week. Its a small town, there’s a lot going on and Saffron is always ready to lend a willing hand. She’ll step up to help anyone, even though money is tight, she gives freely of her time. The town festivals were terrific, and the swordfish funnel cake part – fabulous! Logan turned up a few months back. Comes in the bar where she works but never speaks to her. He talks to others but never her. He just responds with tiny smiles, and she’s made it a mission to get him to speak, but so far, funny though her chats are, she’s not succeeded. Then comes the swordfish festival and everything changes!! Its a terrific read, packed with drama and emotion – actually made me cry – real tears, honestly, and that doesn’t happen often. Its a great story, the characters are wonderful and I was there with them, at the festivals, in the bar and when the dangers started stacking up for Saffron, like Logan I worried for her. Its a typical example of how the media affect people’s lives. We see it all the while, words and pictures twisted to put the worst spin on, it seems sometimes anything is game so long as the stories sell. Money really is God to some, and they don’t care who gets damaged in the fallout. Like Saffron I wonder – Why? Why do people feel the need to know every bit of ( false ) info about a celebrity’s life. Why do they queue for hours, imagine they are in love, see the Star as a person, rather than the real personality behind it. Odd – just odd, but we see it every day. Must be scary to be involved on the wrong side of some deranged fans. The story itself is perfect, there are lots of little sub plots that round out the Saffron and Logan romance, that make it so much more than a HEA romance, and make it one I’ll want to read again. I loved it. Stars: Stars: Five, a great read, incredibly sad at times and yet also very funny at others. .